Charms Blow Pops. 100 Pops In A Box Display. 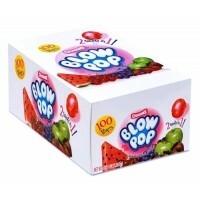 Charms Blow Pops - Sweet lollipops combine two treat..
Cinna-Pix Cinnamon Toothpicks. 24 Packs In A Box Display. Hot! Tasty! Fun! Cinna-Pix! 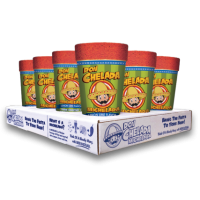 When we dec..
Don Chelada Michelada - Lemon Lime Flavor 12pk Don Chelada's 24 oz. Lemon Lime Michelada cup with..
Don Chelada Michelada - Spicy Flavor 12pk. Don Chelada's Spicy Michelada cup with the Spicy Mega ..
Lucas Chamoy Candy. 1ct. ..